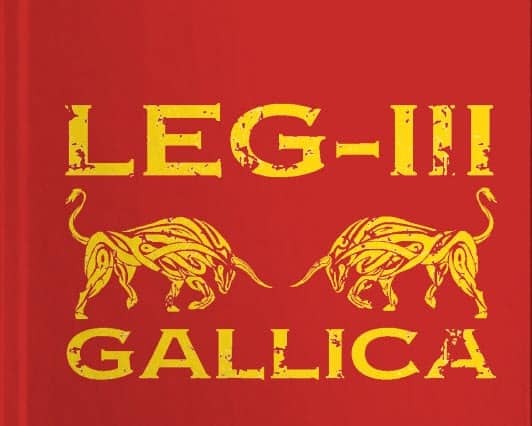 Legio III Gallica or simply the Third Gallica Legion was founded by Gaius Julius Caesar around 49 BC. He formed this legion specifically to get much needed offensive assistance in the civil war he perpetrated against the conservative republican leader Pompey. Since the legion’s cognomen (third or nickname) “Gallica” seemingly originates from the word Gaul, it is assumed that most of the Gallica recruits must have been from Gaul. 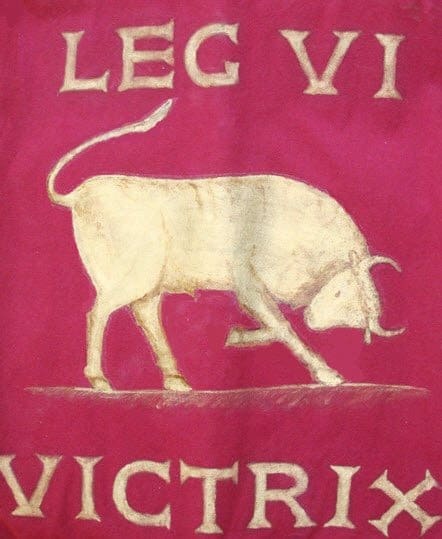 The legion had a bull as its symbol (as did pretty much every legion formed under Julius Caesar). The Gallica helped Caesar carry out major campaigns against the republic, the highlights being the battles of Pharsalus and Munda. Historians also state that later, the Roman holders of power might have decided to send part of the legion to the vassal king Herod of Judaea. The force that was sent was to assist the king in reclaiming the kingdom of Judaea. After the fall of Caesar, almost the entire Third Gallica was handed over to Mark Antony to assist him in the battles against the Parthians. It is said that the brave men of the Gallica fought gallantly against the far stronger might of the Parthians. They eventually had to retreat but not before saving the rest of the Roman army already engaged in the battle. The “Victorious Sixth Legion” was founded by the general Octavian (who later went on to become Emperor Augustus) around 41 BC. This legion is famous in the history of the imperial Roman army and was considered to be a twin of the much revered Legio VI Ferrata. The legion saw its first action in 41 BC right around its formation when it fought alongside Octavian at Perusia in his campaign against Mark Antony’s wife and brother. The Victrix played a crucial role in bringing Antony and Cleopatra to their knees by running through their opponents during the Pannonian campaigns of 39 to 36 BC. Perhaps the biggest blow to any chances of Antony and Cleopatra claiming the empire came when Legio VI Victrix, along with other legions, defeated the enemy in the Battle of Actium. The Victrix then went on to assist Augustus in his war against the Cantabrians that continued for almost 10 years starting in 29 BC. By 19 BC, imperial Rome had conquered the whole of Hispania, and the Iberian peninsula was also now under Roman rule. The legion was then stationed in freshly conquered contemporary Spain where it stayed for nearly a century. During this time, the city of Legio was founded (known as Leon in the present day). Legio Duodevigesima, or simply the 18th, was also founded in 41 BC, again by soon-to-be Emperor Augustus. Historians believe that Augustus formed this legion to deal with Sextus Pompeius who was then stationed in Sicily and was one of the last formidable opposers of Augustus’ campaign. Pompeius had a slight upper hand in the conflict since his prolonged occupation of Sicily meant he could easily block much of Rome’s grain supply. Legio XVIII, along with Legio XVII and Legio XIX, faced a crushing defeat in the Battle of Teutoburg Forest. Legio XVIII was absolutely destroyed with the last pieces of the legion’s symbol and cognomen obliterated and still unknown to this day. Some historians also state that Legio XVIII might have been among the group of eight legions Mark Antony was supposed to have had from Augustus in his campaign against the Parthians. But Augustus never delivered on his promise. The Legio X Equestris or the 10th Mounted Legion was created by Julius Caesar in 61 BC during his governor days at Hispania Ulterior. Around the time when Caesar started his governing duties at Hispania, he realized he was one legion short in order to kick off his carefully planned campaign. That is when he formed the Equestris Legion, the first legion Caesar levied personally, and one that proved to be the most trustworthy. In around 58 BC, Caesar ordered the legionaries of the 10th to ride on horses because he didn’t have much faith in his Gallic cavalry auxiliaries. That is how the 10th Legion got its new cognomen and went on to be known as Legio X Equestris. The Equestris Legion was in the thick of the action when the Gallic Wars broke out. In fact, it was involved in pretty much every war Caesar declared upon his enemies. It was the composure and bravery of the soldiers of the 10th Equestris Legion that brought about the defeat of the Helvetii tribes. Because of victories on this front, the Romans were able to blockade any Helvetii moving into contemporary western France. Legio Duodecima Fulminata, or simply the Thunderbolt 12th Legion, was a famous legion from the days of imperial Rome. It was also known by the cognomens Paterna, Antiqua, Certa Constans, and Galliena. The legion was enlisted by Caesar in 58 BC with his sights set on scoring a thumping victory in the Gallic Wars. The Fulminata Legion fought in the war for Caesar till 49 BC. Immediately next came another war that Caesar declared on Triumvir and Pompey around January, 49 BC. It was actively engaged in the full-scale invasion of Italy, and also in the Battle of Pharsalus on August 9, 48 BC. The 12th Fulminata had a thunderbolt as its emblem. Once the majority of conflicts were over and the legion had helped Caesar achieve an all-round victory in grabbing power over imperial Rome, the legionaries were pensioned off and given lands in Parma. However, the legion must have been levied again sometimes later as this unit has been documented as guarding the crossing of the Euphrates River as late as the beginning of the fifth century. The Cyrenaica Legion was active in different shapes and sizes from its formation in 31 BC all the way up to the early years of the fifth century. From the Battle of Actium in 31 BC to one of the many Jewish revolts between 132 and 136 AD, the Cyrenaica Legion had an influential presence during many major events in ancient Roman history. The reason behind its cognomen isn’t exactly known, but many believe it took the name “Cyrenaica” to signify its origin in Cyrene (present-day Libya). The name could also have been given to mark some of its notable achievements in that region. Regardless of the mystery shrouding its inception, Legio III Cyrenaica was definitely used by Emperor Augustus to maintain control over contemporary Egypt which he has annexed around 30 BC. From then on, historians state that the legion was under the command of either Lepidus or Marc Antony, both being members of the Second Triumvirate. The legion went on to stay in Egypt for more than a century and a half and became so adapted to Egyptian culture that many Cyrenaica legionaries started to worship the Egyptian god Ammon. It was in 48 BC when Caesar sparked a civil war by crossing the Rubicon River a year before. Many of the conservative Roman republicans had fled to Greece. Caesar was preparing a full-on assault on the republicans and that is when, along with a handful of other “first” units, he formed the Legio IV. The Legio IV got its first taste of action in the battles of Dyrrhachium and Pharsalus when Caesar scored a decisive victory over Pompey. The legion then settled in the province of Macedonia whereupon it became known as the Macedonica Legion. Soon, Caesar enlisted the Macedonica Legion to fight in his campaign against the Parthians. But right around this time, he was brutally murdered and plans for the Parthian invasion were called off. Mark Antony seized the opportunity to tap in the Macedonica force and actively involved it in his campaigns in eastern Italy. However, this soon fell apart when Legio IV decided to side with Octavian and fight against Antony in the Battle of Modena in April, 43 BC. Soon, Octavian became Emperor Augustus and sent the Legio IV to take part in the decisive battles of the Cantabrian Wars and in Vellica in 30 and 25 BC respectively. 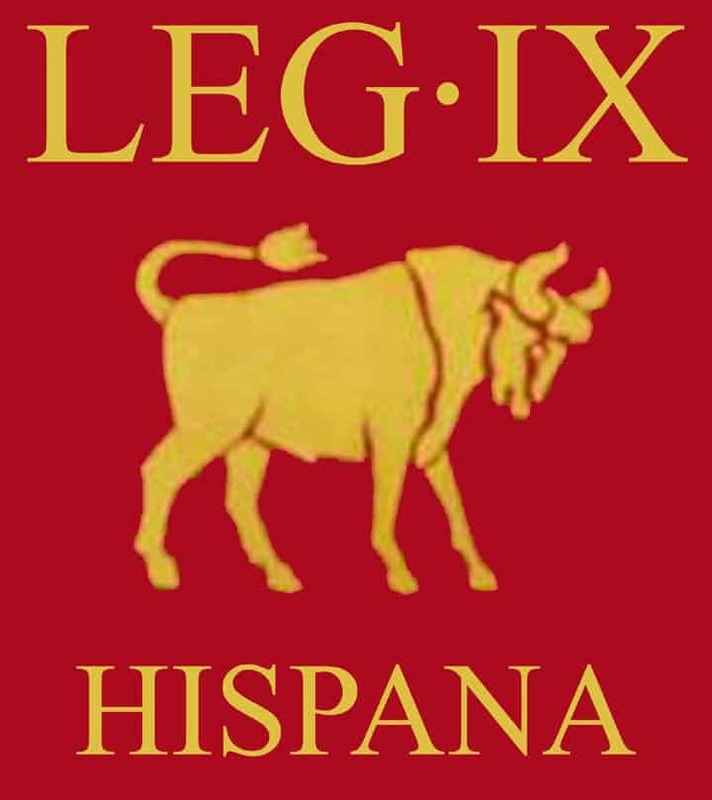 Originally known as the Legio IX Hispania, the Hispana Legion was amongst the first legions formed by Julius Caesar during his campaigns against the Roman Republic. 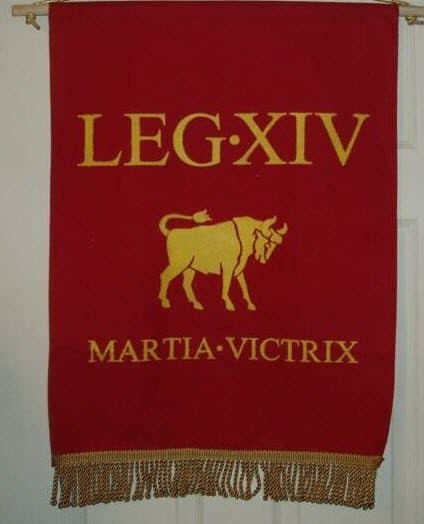 The Legio IX fought valiantly alongside its compatriot legions VII, VIII and X during the invasion of Gaul in 58 BC. It has been documented that the Roman commander was particularly impressed by the bravery and heroics of Legio IX in the battle against the Nervians. When Caesar fell, the legion was again levied into the Roman military by his heir Octavian. Commander Octavian immediately tasked it with annexing the city of Sicily which was then under the control of his arch enemy Sextus Pompeius. The Legio Hispana Triumphalis, along with other legions enlisted in the campaign by Octavian, soon brought the whole of Sicily under Roman rule. Once Sicily was annexed, Octavian declared himself the emperor and became Augustus. He also sent the Ninth Legion to maintain control of the Balkans. It was around 43 AD when the legion was brought back into action in the Roman invasion of Britain. It is very likely that Legio IX Hispania assisted in the battle against Britain with Rome then under the rule of Emperor Claudius. Historians state that the legion suffered a massive defeat at the Battle of Camulodunum during the infamous rebellion of Boudica. A huge number of legionaries was killed and whatever force remained was then used to reinforce the Germania provinces. 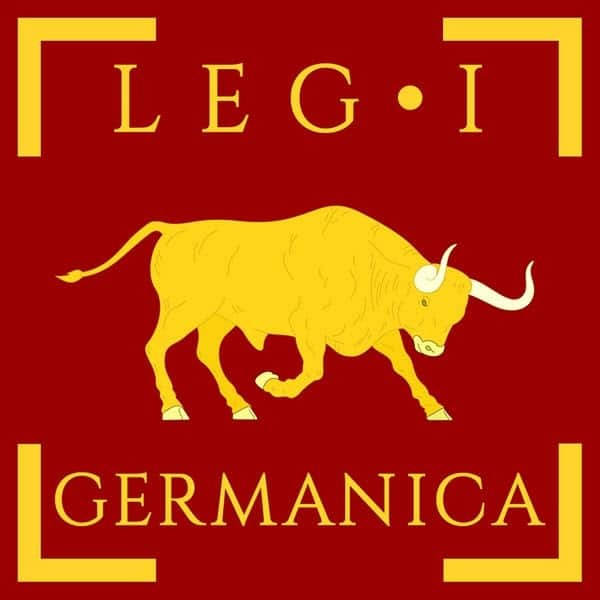 Founded by Julius Caesar to bolster his warring campaign against Pompey, the Legio I Germanica or simply the First Germanic Legion was enlisted in 48 BC. Contrary to the popular belief that it got the Germanica cognomen because its soldiers originated in Germany, almost all the Germanica legionaries were Roman. It was their outstanding service in contemporary Germany that earned them the said cognomen. At around 41 BC, the legion became part of Octavian’s army and clashed in the war against Sextus Pompeius. The Germanica then took part in a decade-long conflict against the Cantabrians under the leadership of Augustus. Together with the Second Augusta Legion, Germanica helped build the whole new colony of Acci in Spain during the same period. Once the conflict was settled, many of the legion’s veterans retired in present-day Barcelona and Tenes, Algeria. Of course, new recruits were regularly enlisted and soon the legion was stationed to defend the Rhine where, historians suggest, Germanica might have helped Tiberius in his war against the Celtic kingdom of Vindelicia. The First Germanica Legion remained active from the year of its formation up until the waning days of 70 AD. The legion was disbanded by Emperor Vespasian and whatever force remained was merged into Legio VII Gemina. Also known by the name Legio II Augusta, one can easily conclude that this famous legion got its cognomen from the legendary emperor of imperial Rome, Augustus himself. 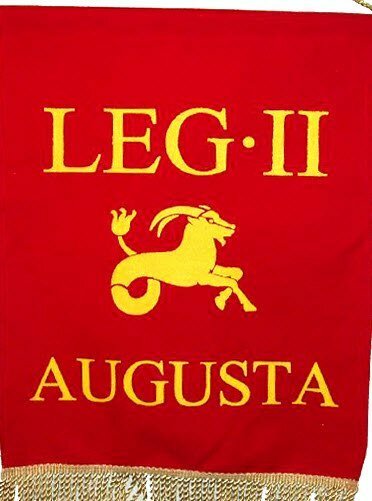 It is rather unclear if the legion was actually formed by Augustus during his command days or if he renamed an existing legion Legio II Augusta. The first known documentation of Augusta dates back to around 26 BC, when it took on the Cantabrians alongside seven or more other legions in the Cantabrian Wars of 29 to 19 BC. Once the war was won, Augusta legionaries stationed themselves in Spain alongside other legions. When the era of imperial Rome began, Legio II Augusta stood true to its cognomen and swore its allegiance to Augustus. The legion was a formidable force in the Battle of Actium that took place in 31 BC. Afterwards, it seems a huge part of the legion was dissolved and many of its legionaries were sent on leave or into retirement. But the legion was enlisted again to fight against Britain in 43 AD. The Augusta held the Roman might in the brutal battles against the Durotriges and Dumnonii tribes under the leadership of Emperor Vespasian. The legion has also been noted to have helped build Hadrian’s Wall in 122 AD and Antonine Wall in 142 AD. This list quite evidently shows that Julius Caesar was responsible for the enlisting of the oldest legions towards the start of the imperial Roman era. Octavian (later Emperor Augustus) mostly took over from where Caesar left off to have these legions at his disposal and to further reinforce their military might. The legions had a certain flair for engaging in almost omnipresent warfare, participating in one battle after another. More often than not, they played a decisive role in battles despite massive losses and the odds heavily stacked against them. These legions fought in countless battles and conflicts whose outcomes helped shaped Roman history as we know it today. Didn’t the 9th vanish mysteriously in Britain? I would have thought that the Legio X Fretensis would be the most famous. Am I mistaken for thinking so?